Fans of the distinguished British actor Sir Derek Jacobi (I Claudius, Brother Cadfael, Breaking the Code) will be thrilled to discover his enchanting reading of J.M. Barrie’s classic tale. This new version of Barrie’s original work, Peter and Wendy, was adapted for modern audiences by Jane McCulloch, director of the English Chamber Theatre. 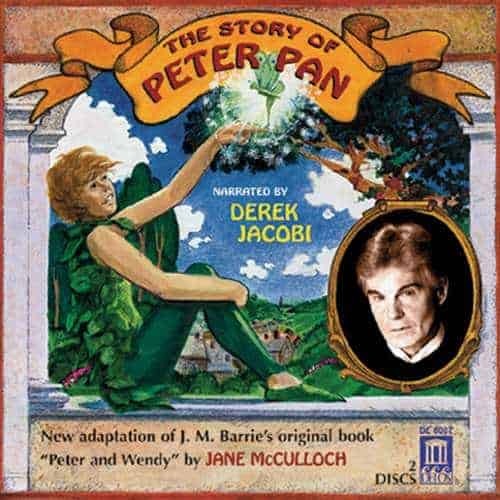 The Peter Pan story is more captivating than ever in McCulloch’s version, which carefully preserves Barrie’s original narrative while addressing the needs of modern audiences.